Students had the opportunity to experience career options or taster sessions that could inform their option choices for Year 10 by the design and enterprise teachers. 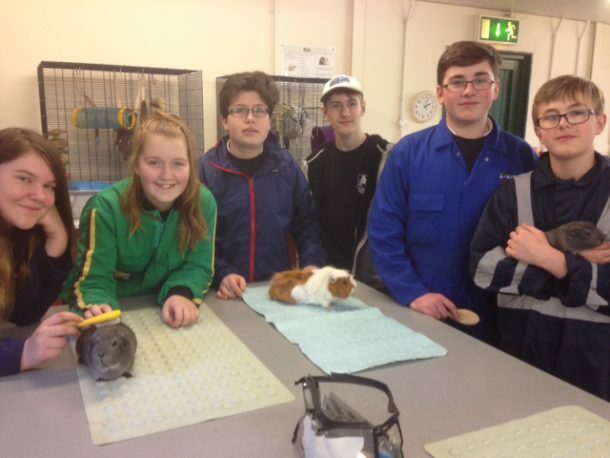 These lucky students went to Duchy College to experience agriculture and small animal care. Most of the students come from families who are involved in the farming industry so the relevance of this course was outstanding. The students had a fantastic time and asked some very in depth questions at the end of the visit to the Duchy tutors about careers in agriculture. Students in Year 9 also had the opportunity to experience construction for the day. 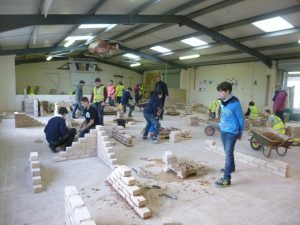 The course was designed to give students an insight to the construction industry and to consider if they wanted to take construction brickwork as a year ten choice.